Starting retroactively with Assassin's Creed IV, gamers won't have to pay a fee to play used Ubisoft games online. Online passes have been despised by gamers since their inception. Though it's understandable that a publisher might want to see some money from the sale of its used games, consumers were miffed about having a game's online component restricted on second-hand titles. After years of complaints, EA dropped the Online Pass earlier this year, and now Ubisoft is following suit. Starting immediately, Ubisoft games will no longer have the Uplay Passport, which is what the publisher called its online pass system. The Passport was introduced in 2011, about a year after EA launched its own version. Most recently, the system was used in Assassin's Creed IV, where it restricted some of the game's single-player content to much outrage. 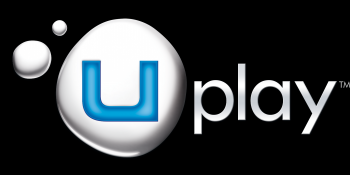 The Uplay Passport program was initiated as a means of giving customers full access and support for online multiplayer and features, along with exclusive content, bonuses and rewards. However, games today are blurring the line between offline and online, between what is "single player" and what is "multiplayer." Based on that and on the feedback we received from you, we recognized that Passport is no longer the best approach for ensuring that all our customers have the best possible experience with all facets of our games. Ubisoft is even trying to make the Assassin's Creed IV Uplay Passport debacle right by removing the online pass, sort of--it's taking away the additional cost and making it free for all. Those who have already purchased the pass are instructed to "contact your regional Ubisoft support," presumably for a refund. In a blog post, the publisher stated that it removed the online pass because "we listen to our community and understand that there are concerns" about the system. It's a shame this move had to come two days after Assassin's Creed IV was released instead of before, but gamers should be happy that the Uplay Passport is dead.